Highest Paid Soccer Player: Soccer is one of the most widely played sports on the planet. And when a sport is widely played, it is widely viewed by audiences around the world. When a large number of audiences watch the game, they get to know the players and that in turn increases the brand value of soccer players. It is one of the highest paid games and even when all the sports are considered, soccer players are richer than most of the other sports players. Soccer attracts more money than other sports so it pays more than others. The beautiful game rakes in a lot of money which makes its players the highest earning sports players too. Let’s see the Top 10 highest paid soccer players in 2015 around the world and the staggering amount of money they earn. Cristiano Ronaldo is one of the best footballers the world has seen. Just as his skills, his money quotient is high too. He plays for Portugal in his national team and in the club Real Madrid under Liga BBVA. 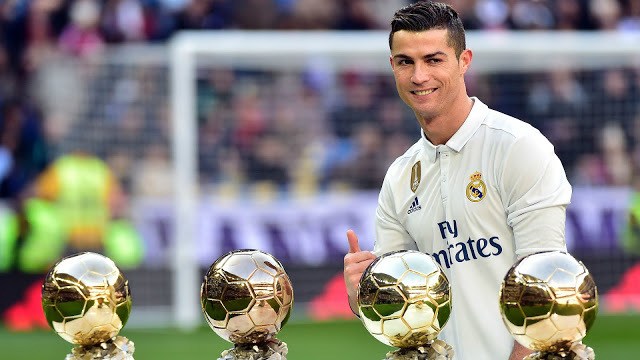 He earns around $52.2 million in salaries from his club and the team making it the highest paid soccer player salary paid by anyone and the other $26.8 million comes from the brand endorsements that he does. He is the highest paid soccer player in the world and rightly deserves to be so. Surprisingly, he was also the highest-paid soccer player 2014. He is currently the best soccer player and has smashed almost all the records that existed in the history of football. He is young, talented and very rich. He gets paid $48.5 million in his salaries and also endorses many brands for which he earns $22 million. He is a one-club player and has always played for Barcelona and for his national team Argentina. His skills aren’t comparable with anyone else in the game and even legends have accepted that he is the best football player of all time. He stands a distant third position after the close two contenders. For his salary, he earns around $35.8 million and though his brand value is not much, he still earns around $6 million for the brand endorsements he does. He plays for his country Sweden and his current club is Paris-Saint German. He is known for his acrobatic skills and scissor kicks. Gareth Bale was recently bought by Real Madrid at an all time highest $100 million. For 2015, he earned $25.4 million in salaries and the rest of $6.5 million; he earned it in brand endorsements. He plays for the country Wales and currently in the club Real Madrid. He is the most expensive soccer player in the world. He owns the record for getting the highest paid soccer player contract by Real Madrid. He is one of the youngest and the most talented footballers in the world. Came to Barcelona in 2013 and has been in stellar form since then. He got around $14.7 million in salaries, but he earned more in endorsements that is $17 million, one of the most valued players in Soccer. He plays for Brazil as his national team and for the club Barcelona in the meanwhile. Radamel Falcao has earned around $31 million in the year 2014 of which $27 million was for his salaries and $4 million he got for the brand endorsements he did. He plays for Columbia as his national team and in the club Atletico Madrid as of 2015. He is a great winger and can get past defenders in a jiffy. He scored around 36 goals for his club alone for the season 2014-15. He is the highest paid soccer player in England for the year 2014 and he got paid about $19 million for his salaries and $6.8 million for various brand endorsements that he does for many brands. He currently plays for the club Manchester United and also for his country England. He is known for the quick dribbles and the long range shots that he takes. Wayne Rooney has been loyal to his club ever since and not planning to make a move for any other club. James Rodriguez made a name for himself in 2014 FIFA World Cup where he got the golden boot for the most number of goals. He earns $21.4 million in salaries and wages and the other $4 million for the brands he chooses to endorse. He is a talented and young football player playing for Columbia as his country and Real Madrid as his club. He is also said to be the next big player football has to see. Sergio Aguero is one of the best forwards in the club Manchester City. He gets paid around $18 million for the salaries from his team and the club he plays for, and an additional $7.2 million for the value he puts in his endorsements. He is one of the finest strikers for his country Argentina and plays remarkably well with the skills he has. Courtesy him, Argentina made it to the finals in the 2014 FIFA world cup. Recently got infamous for biting players from other teams, Luis Suarez is among the highest salary earners in soccer. Recently changed his club to Barcelona, he is a goal machine for them. He plays for his country Uruguay and the Spanish club Barcelona. He is one of the most lethal forwards the world has seen and earns around $15.4 million in salaries and $4.5 million in the little brand endorsements that he does. Here is the top paid athletes and highest paid soccer’ Forbes listing all the best players who also earn like they play.